With Earth rapidly becoming uninhabitable, pioneers seek to colonize the harsh terrain of the planet Carpathia. 10 years later, the town of Forthaven faces danger as the planet's dark secrets are revealed. A troubled AC enters Forthaven and attacks a citizen. Fleur and Cass struggle to contain the situation. The Expeditionaries make a stunning discovery. Cass receives an anonymous note that threatens to expose his past. Tipper helps Stella and Tate learn more about the mysterious hostile life form that occupies the planet. 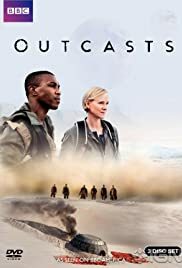 How many episodes of Outcasts have you seen? In 2275, a team of bounty hunters tries to stop a conspiracy involving alien DNA. 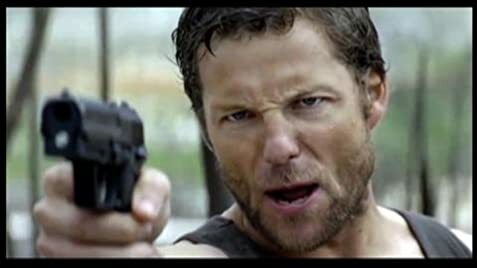 In 2300, bounty hunter Travis Montana searches for his lost son. Pioneers in a brave new world. Anyone who knocks this series because it 'isn't exciting enough' should realise that the audience who might get this series are not died-in-the-wool sci-fi fans. It is a series about normal, believable, 'now' people, undergoing a change in their lives that could happen to any of us based on one technological advance, space travel. The fact that there are no space weapons, intense galactic star battles, aliens and similar shouldn't take away from the fact that this series managed on a relatively small budget to do somewhat what the newer battlestar galactica did, in that it made it about individual, believable humans, and more than that it made you think about what might happen in 'our'lifetime. You may not like every character. You may not like the lack of star battles, but if this series does not get it's promised second series it will be a travesty. All the actors and actresses were up to the task, at least by the end of series one, and the basic storyline and potential for it to develop to great literature is all there. Don't watch one, watch them all, and hope for more. Great show. 24 of 36 people found this review helpful. Was this review helpful to you?